← Olivia Wilde Must Have Gotten Better at Sexting! 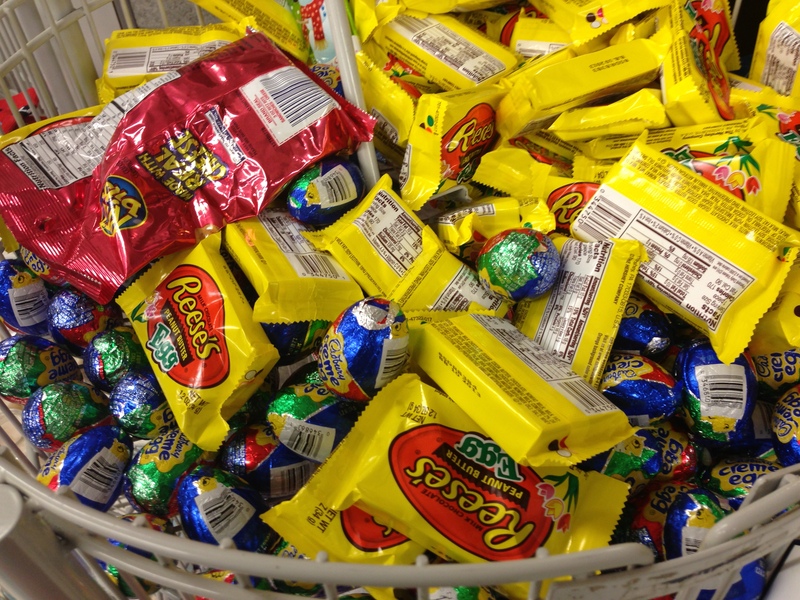 I Want Easter Candy NOW! It might only be January, but wouldn’t it be so nice if you could eat a Cadbury Creme Egg STAT? Oh wait, look what I found at my local drugstore . . . .
Christ rose so that you could eat this sweet stuff. Don’t know about the Ritz Bits though. Resolutions be damned, we are Americans, and we want our candy. And even though Easter is months away and we haven’t even had a chance to eat a conversation heart for Valentine’s Day, I want to put my myself in a diabetic coma ASAP. Rabbits–start laying eggs. Okay? You know who agrees with me? Office star B.J. Novak. But he’d like the eggs a little bigger please.